For a while now, and I mean like two years, I have been thinking about purchasing Mulberry Lily. These little shoulder bags are the British version of small Chanel Flap handbags and are simply perfect for the evening. So for me the problem has never been about whether I want one, but which colour I want to go for. The thing is – there are just so many options with more being added each season, that by the time I make up my mind, the range already expanded. 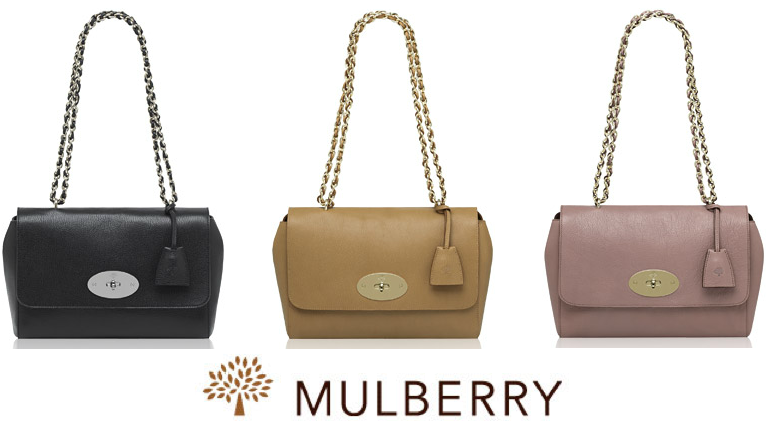 Indeed at the moment there are 30 different styles of Lily available at mulberry.com. But a few seasons ago I suddenly got a favourite – a new size of the bag, Large Lily in black, became available and if it wasn’t for the fact it was overly slouchy I would have gone for it straight away. So obviously by the time I finally decided to buy it, it was out of stock and only available in Ink Blue Silky Snake and Snowball White. Anyway the reason I told you this long, not terribly exciting story is to show why I got super excited when I saw Mulberry’s latest addition – Medium Lily (£795). It is simply perfect: suitable both for days and evenings, not slouchy and in choice of classic black and deer brown as well as this season’s hottest dark blush. So my mind is totally made up: not only is there less colour choices but the handbag itself is more versatile. Hence I am in love and will be shortly adding one more Mulberry to my growing collection. Did I manage to convince you to add one to your Fashion Wish List? You are currently reading Lily’s Story at MY FASHION WISH LIST.